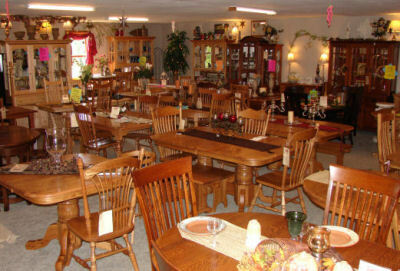 Amish Furniture Warehouse is a Christian based, family owned furniture store with over 30 years experience in furniture manufacturing furniture. To set ourselves apart from other furniture stores and businesses by treating our customers with respect, honesty and integrity. To give our customers the best furniture we can, by getting to know them as a person, not a dollar figure. To sell quality furniture built in the USA at an affordable price. We set these goals because we know these are the first steps for a furniture business to thrive. But above all else, our family believes that faith, honesty and integrity are the marks of true success in business and life. The reason we started making furniture and selling Amish furniture, was to give people real quality and beauty, at affordable pricing. 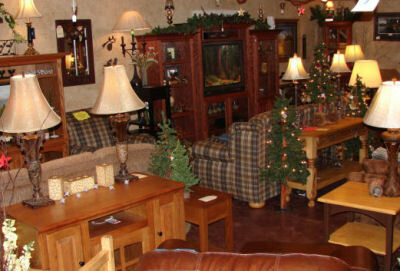 Our main goal is to provide the best furniture possible and provide outstanding personalized service. We custom build bedroom furniture, living room furniture and dining room furniture, as well as individual furniture pieces, that include entertainment centers, hutches, home and office bookcases. With our stronger inner construction, and outer frame, any piece of furniture we build, we guaranteed for as long as you own it. We will work with you to design and create a beautiful addition to your furniture collection. You give us the dimensions, select your hardware and wood, and the Amish Furniture Warehouse will build that piece of furniture for you. Our drawers are solid wood, with side mounts and self closing glides. Furniture can be built in cherry, maple, oak, brown maple and 1/4 sawn white oak. We really love what we do and its so much fun to see people excited about their new furniture. 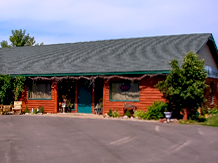 When you walk through our door, you are not just a number to us. We love to visit and get to know our customers. We have found that by getting to know you we have more insight and understanding of what your furniture needs are. Over the years we have seen furniture stores come and go. Many of whom offered low quality furniture at high prices. We have chosen to continue our commitment to selling quality furniture, at factory direct pricing. Knowledge and know how is important when shopping for furniture. You work hard for your money, and we do too. We know that most people can't afford to waste it. When you come to our store we give you that knowledge and let you do the decision making. Do the math and look at the Bottom Line Price. Shop around - make sure you're getting the best deal. Look at the quality and guarantees. Open the drawers, look at the back of the furniture. Open tables, turn over the chairs. Was press board or plywood used? Not sure what to look for? Ask! We will show you. We have nothing to hide!